It is our mission to help you succeed in your endeavor to excel. The only way to guarantee success is to work in partnership with you. Our approach to each project is straightforward. We believe that spending time in your environment throughout the life of the project, makes us an extension of your organization. In this way, we can develop a thorough understanding of your technical and business requirements, and of the goals and objectives of management. We are then able to contribute innovative technical and business knowledge and minimize the strain on your employees. Together, we will develop a detailed project structure and realistic timeline that will ensure a successful implementation, while simultaneously integrating the technology into your corporate culture. In getting to know your organization, its people and its processes, we can deliver the right and optimum solution for you. We work with you as your technology partner - who understands your business, shares your vision. We introduce leading-edge technologies into your workflow towards improved flexibility, increased efficiency and better customer service, things that make a business stand apart from the rest. For us, it's not just a matter of picking the right technologies; it's being the right Technology Partner for you. Our endeavor is to leverage our expertise in technology and software development to deliver commercial software products and solutions. We have a large in-house pool of experienced professionals on various platforms with a range of hardware and software resources at their disposal. 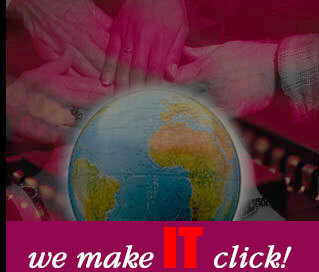 Our core team has an accumulated experience of more than 100 years in the business sector and IT industry. We have worked to acquire a deep, insightful understanding of the functionality, performance and interoperability features of the products we use that will be built right into your solutions. The founders of Royal Market Inc. have expertise ranging from creating and growing new ventures, managing operations and finance, consulting on business and technology to creating innovative technology solutions. We offer a complete, one-stop hardware/software communications package to clients.